Professional website design is vital for any budding online company. While the old adage that beauty is in the eye of the beholder holds true for most cases, the same cannot be said for websites. There is a certain standard to it that must be met. Otherwise, all your time and efforts would be wasted. Prospective clients need to understand that we operate on a clear framework when it comes to designing websites. Presented below are the most important factors that will influence the way your site is made. Identifying the Site’s Purpose – As a basic rule, a good website should be able to cater to the needs of its users effectively. That being said, the purpose of the site must be clear right from the start. Its purpose will ultimately decide the elements that must be put in place.For instance, an e-commerce site needs to have the features necessary to make the shopping experience as seamless as possible. It is hardly groundbreaking advice but an online store without a streamlined shopping feature would surely do poorly. Effective Communication – Information is often the purpose of web user. Your site must be designed in a way that it is able to effectively communicate its message. This means your content must be written in such a way that it is readily consumable. Make the most of bullet points and avoid long-winded paragraphs. Typographic Rules – Generally speaking, the rules regarding the use of typefaces is rather standard. If you want your readers to be able to read your text without any trouble, then the safest choice would be to stick to Sans Serif fonts like Arial and Verdana. Just remember that the ideal font size is at 16px. In addition to this, it is vital that you remember the rules of 3’s. This means a maximum of three font sizes and 3 typefaces. This is vital if you wish to keep your design streamlined. Image Use – Images, when used effectively, can effectively convey your message faster than words could. On the other hand, when used excessively, they can be rather distracting. You can rest easy knowing that we know where to draw the line in this regard. We make sure that graphics and images are used in the best way possible, supplementing the message of the text without becoming a distraction. Streamlined Navigation – One of the most important aspects of browsing is site navigation. That is why we operate by the 3-clicks rule. This means your users should be able to find the desired information at a maximum of three clicks of the mouse. Responsive Design – Most people make use of multiple devices to browse websites. We are more than aware of the trend nowadays and we make sure that the sites we design are responsive. This means that your users can switch between computers and devices without encountering any trouble. When we make websites for our clients, we make sure to take all of these things into consideration. 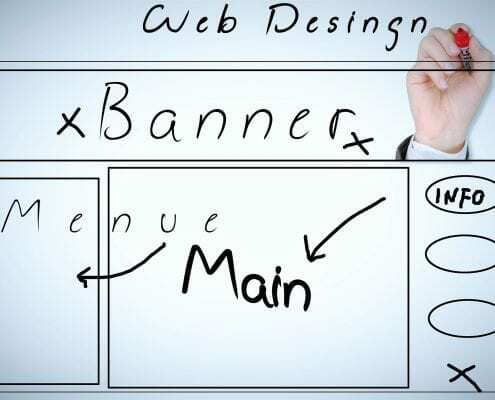 It is the very foundation that makes our website design services so effective.